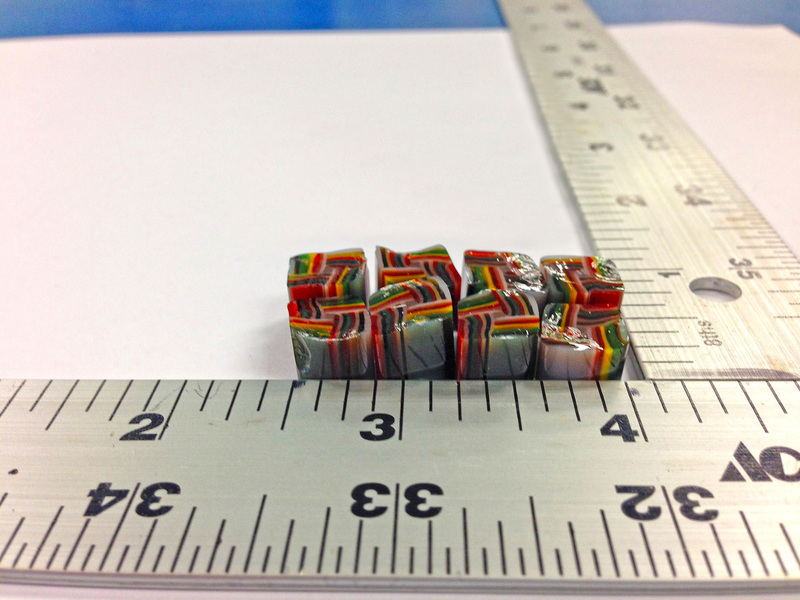 No matter how you cut it (or spell it), Bugeye Products has developed the easiest, fastest and most consistent way to make murrine/murrini glass slices. This one-of-a-kind tool is designed to cut round, rectangular or flat glass murrine up to 7/8 inch (22 mm) thick. 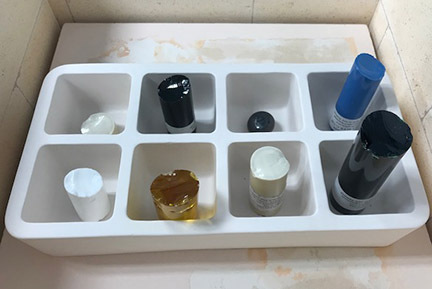 The exclusive, new Kiln Tray from Bugeye Products is a compartmentalized ceramic tray with eight cells to keep your glass colors organized and contained in the kiln. It makes glassblowing more enjoyable and more productive. No matter how you cut it (or spell it), you can make murrine/murrini glass faster, easier and more consistently with a Bugeye Products pneumatic cutter. © 2017 Bugeye Products, Inc. All rights reserved.